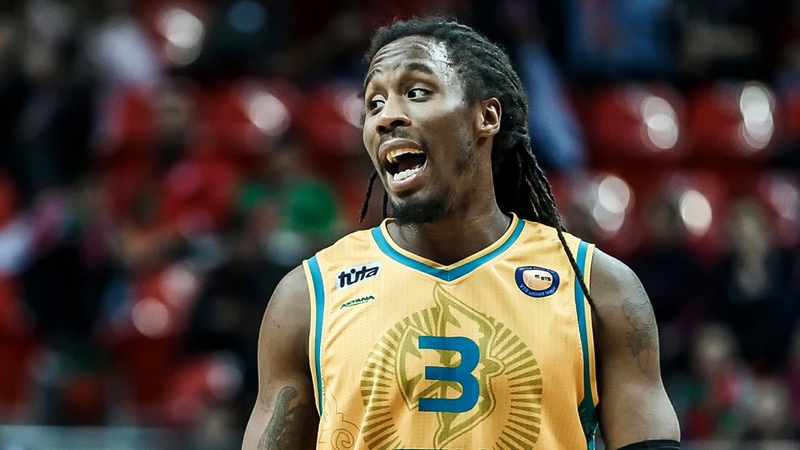 Astana playmaker Rob Lowery’s outstanding guard play, not to mention his instantly recognizable hair, has made him one of the League’s most popular players this season. In an interview with VTB-League.com he talked about the most important coaches in his career, said he’s open to playing for the Kazakh national team and shared his post-retirement plans. – Astana has always been tough to beat at home, but the team also started winning on the road this season. What’s the secret? – The team is totally different with new leaders. We’ve got guys on the team that want to win no matter where we’re playing: home or away. I think the secret is our winning mentality. – You said in an interview that Astana’s coach invited you to join the team. Is Ilias Papatheodorou the most important coach you’ve had in your career? – Yes, Ilias Papatheodorou really did invite me to join the team. We’ve got a good relationship. We’ve known each other for a long time. I’d say Papatheodorou and Loko’s Sasa Obradovic, who I played for at Alba, have been the most influential coaches in my career. – How do you and Ian Miller, Astana’s other leader, share responsibilities? – There’s no clear division of responsibilities, of course. We have a common goal: helping Astana win, playing efficient, exciting basketball and staying responsible to our ourselves and each other. – The buzzer-beater against Enisey was one of the most exciting moments of the season. A lot of people said it was luck. What do you think? – Oh yeah, that was incredible. Of course, there’s some luck involved, but when you practice hard and work on your shot, it’s not unusual to make a shot like that. – Jerry Johnson used to be the star at Astana. Do you know him? He even became a Kazakh citizen. Have you thought about doing that? – I don’t know him personally, but I played against him 2-3 years ago, when I played for VEF. As for citizenship, I’m open to the idea of playing for the Kazakh national team. But I’d have to think about it later. Right now I’m completely focused on the season and reaching the VTB United League playoffs. – If you get an offer to extend your contract with Astana on the same conditions, would you sign? Or will look for a more lucrative offer, perhaps from Russia? – When it’s time to think about where I should continue my career, I’ll look at the different options that work for me and my family. Right now, I’m happy at Astana. I like the city, the people, management of the team. Everything’s great! – Are you a big tattoo guy? – Yeah, I started getting into tattoos in high school. It was a way for me to express myself. I’ve got more than 20 tattoos now and I’m not done yet. – You have two college degrees. Did you ever think about finding a different career and leaving basketball during tough moments? – Things are going pretty well with basketball, so I’m completely focused on that. After I retire, I can try something new. For example, broadcasting basketball games or other sports events. – You’re also a big sneaker fan. What’s your favorite brand? – The Jordans are probably my favorite. I like Nike too. Of course, Jordan and Nike are practically the same thing. – Do you listen to Bob Marley? You have some things in common with him. – Yeah, I’m a big Bob Marley fan. I love his music. It’s very inspiring. He was someone people tried to emulate. It’s funny that people compare me to him since the only thing I have in common with him is my hair. – Social media’s a big deal right now. Have you thought about doing a live feed for VTB United League fans? – I go live sometimes on Instagram and let fans ask me questions. See you there next time!